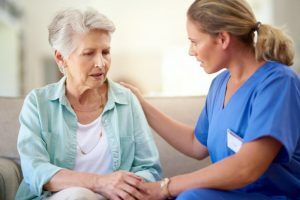 Choosing an assisted living community for your loved one is a big decision and not one to be undertaken lightly or quickly. 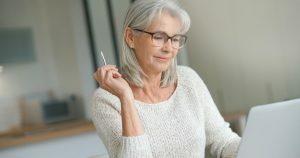 In addition to the significant expense involved, most communities require you to sign a contract, so even if you and/or your loved one aren’t happy with the result, they could be stuck there for months until your contract runs out. 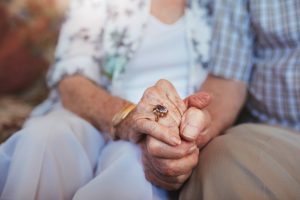 We’ve looked at four of the most common assisted living mistakes people make when choosing an assisted living community and listed them below so you can be on your guard and avoid making these mistakes. Assisted living is too expensive and important an investment to not do your research ahead of time. Know whether the community is licensed by your state (they should be). What’s their rating according to the state? What’s their rating according to other residents and family members? Take a tour. Talk to the staff. Talk to other residents if you can. Ask around to see if you know anyone who has used the facility, and if so, what they have to say about it. This can be tough, especially when it comes to our parents. We want to believe they’re invincible and it can be incredibly upsetting to see them in a state of vulnerability. But that’s exactly why you’re looking at assisted living options in the first place, so it doesn’t do any good to shy away from the facts. Be realistic, not only about what they need now, but what they might need in the months or years to come. If they have a degenerative disease, know the stages and what future stages might look like. How will that affect the level of care they’ll need? 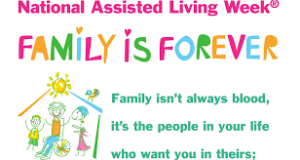 How will you and the assisted living community adjust to take those additional needs into account? It can be very tempting to choose the first community with a glossy brochure and clean waiting area with new furniture, but there’s so much more to assisted living than that. One community might have a great library, which sounds like heaven to you, but how does that sound to your loved one? Do they like to read? Are they losing their eyesight, which is making reading harder for them? If so, does the community offer alternatives, such as books with large print or audiobooks? Maybe your loved one prefers playing board games. In that case you should ask if the assisted living community has a good supply. Do they have a weekly game night or a chess club? 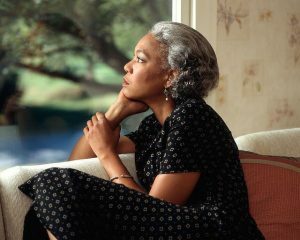 Look for activities you know your loved one will enjoy. Remember, you’re not the one who’s going to be living here – they are. Not only should they feel comfortable there, but the top priority needs to be making sure their needs are met. It can be hard for many of us to accept help, even when we need it most. While you can do your research online and take a tour of the facility, few things measure up to talking to people who’ve been there. Reach out to people you know who have had to put their loved ones in assisted living communities. Even if you end up choosing a different community, it can be helpful to talk to someone who’s been through the process, so you know what to expect and what to look for. 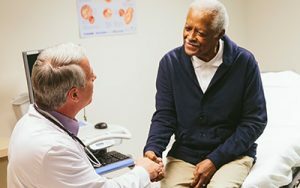 Hiring a geriatric care manager or a senior living advisor can also be a great way to get professional advice on what your loved one needs and the best ways to make sure they get it. It can be one of the hardest things to see someone you love and have counted on for a long time, and yet not be able to communicate with them. It’s safe to say dementia changes people, while also leaving parts of them more intact than ever before. Just because they don’t talk or act the way you remember, doesn’t mean your loved one isn’t in there somewhere. It might take a little more work to get them to come out of their “shell,” but it’s well worth the effort. Don’t assume your loved one will be able to talk to you the way they always have, and don’t try to force them to do so, because that will just make things worse. 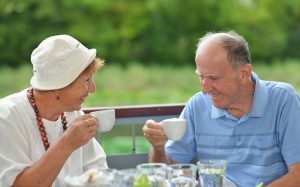 People with dementia often have a hard time understanding others and communicating, so cut them some slack and avoid getting frustrated when you can’t understand them. Instead, try to come up with creative ways to convey what you’re saying, and the same goes for trying to understand their communications. Their sentences may be broken or they may try to use more hand gestures to convey their meaning, so just go with it and do your best to understand. This is hard for them, too. Find somewhere that’s quiet and free of distractions so both of you can focus on the conversation at hand. Don’t use baby talk or speak to them in any other condescending way. Avoid getting agitated, and talk in a calm, level voice, but don’t ever talk down to them. 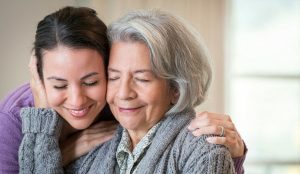 People with dementia can find conversation hard to follow when there are a lot of pronouns involved, so avoid using words like “he,” “she,” and “they.” Call them by their names, and the same goes for initiating a conversation. Don’t just say, “Hi, it’s me.” Instead, say, “Hi Grandpa, it’s Suzie.” Don’t make them guess because that will lead to frustration and anxiety. Make it easy for them and the whole interaction will go much more smoothly. Don’t jump around from topic to topic, because they’ll be less likely to be able to follow you. Pick a subject and stick to it. By the same token, if your loved one changes the subject abruptly, just go with it. Don’t try to guide them back to what you were talking about, but listen to what they have to say. That’s the track their mind is on at the moment, so you’ll get the most out of following it, rather than trying to derail it. 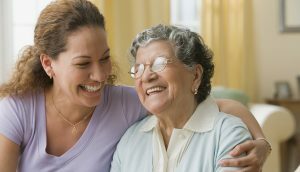 Nonverbal cues, such as smiling and maintaining eye contact, will help put your loved one at ease, no matter what stage of the disease they’re in. 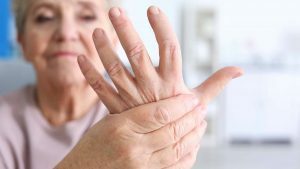 They may also find it difficult to use and interpret language as the disease progresses, so hand gestures and other nonverbal cues may be the best way to get them to understand you. Every conversation needs to have some give and take and that’s as true when talking with someone with dementia as it is of talking with anyone else. Always pay attention to what they’re saying and let them know (gently and calmly) if you don’t understand. Trying to have a conversation with someone who has dementia is always going to be hard and there’s just no way around that. But with these tips, hopefully you can make the process a little easier.